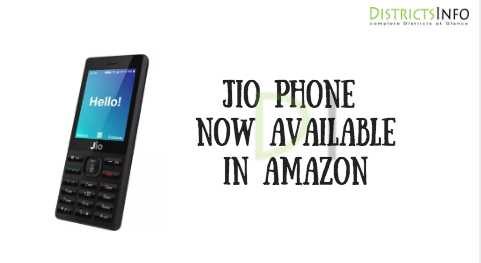 Jio Phone now available on Amazon: Jio 4G feature phone is now available on Top e-commerce Website. This phone is now available only through advance booking and but now listed on Amazon. Analysts say it is better to buy at the top of the showroom or popular retail stores rather than buying it over the original price. Reliance did not launch Jio Phone Pre-booking so far. But it’s available via offline. Reliance said that the Jio Phone will announce the advance booking date soon. The jio company will pay up to Rs1500 back after 3years. However, the Jio requirements are required to follow the refund. This phone can not use another SIM except the Jio SIM. Jio Rs153 monthly plan for this phone. This awesome phone makes you royal with standard model jio f90m is the no.1 model in jio phones. you can put old sim of jio also as we as a new sim.